Approx 5 miles to Interstate 64! Custom built ranch home on 2.21 ac., NO HOA's! 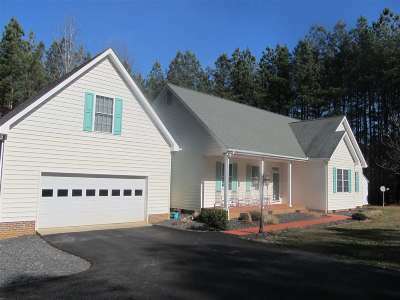 Beautifully maintained home with 3 bedrooms,2 full baths. Granite c/top, new (finger print resistant) SS appliances, convection range oven, smart convection microwave, nice size pantry & new garbage disposal. Newer heat pump approx 1 year ago. Gorgeous stone gas FP. Storage in pull down attic & partial flooring/shelving. Wood, tile & pergo flooring through out. Tilt insulated windows, large screened porch with vinyl plank flooring & ceiling fan. Attached deck off sun room. 2 car garage, ample parking/paved driveway with circular gravel turn around. Bonus rm above garage, separate heating /cooling. 2 out buildings & the larger one has electricity.